Our Lunar Gardening Guide Booklet explains the basic principles behind lunar gardening, with hints and tips about growing organically. It shows you how to interpret the Lunar Gardening Calendar, and is included with the calendar. 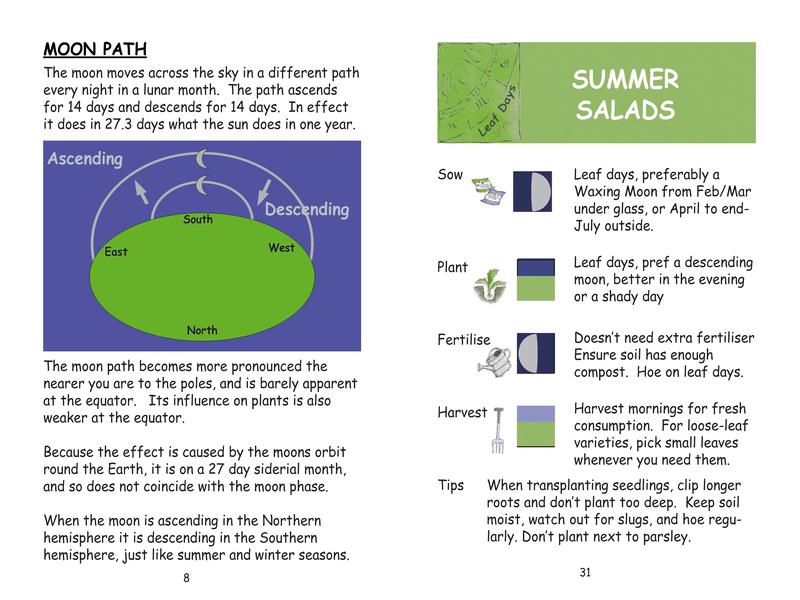 The Lunar Gardening guide is professionally printed in full colour, with a card cover and 36 pages. Click to see sample pages.